Are you want to know about thebluetooth 5 & 4.2 or Bluetooth 4 Vs. Bluetooth 5 or bluetooth 4.0 vs 5.0? then here is the solution. Let’s check the main difference and feature comparisons of Bluetooth 5 & 4.2. 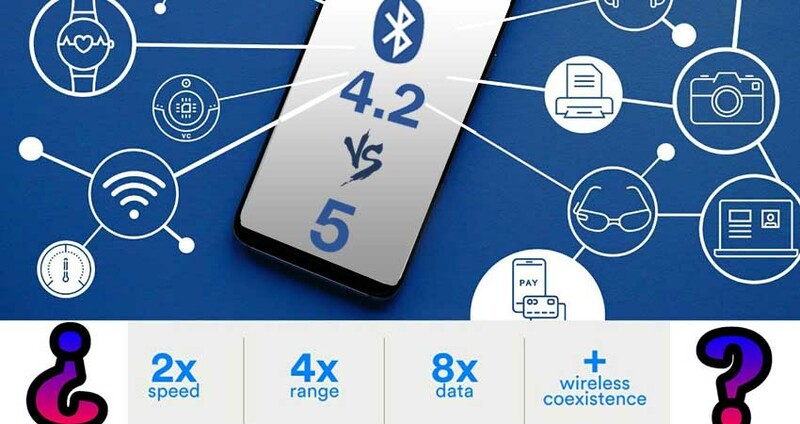 Bluetooth 5 was released after the success of the Bluetooth 4.2 which promises to deliver best and quality connectivity to its users.